Giving Tuesday was started in 2012 as a response to the consumerism of the holiday season. Taking place on the Tuesday following Thanksgiving, Giving Tuesday has raised $380 million dollars online to date. This year, Amazon celebrated Giving Tuesday by allowing users to donate to Toys for Tots via Alexa. This is the first time users can donate items to charity directly through Alexa. Users can say “Alexa, donate to Toys for Tots,” and then choose items from the charity’s pre-approved gift list. The purchase is tax-deductible, and Amazon will send the toys directly to Toys for Tots. In addition, Amazon now has “charity lists” that users can shop from in order to donate an item directly to their favorite nonprofit. For all item donations, Amazon will provide tracking and delivery updates to the customer, letting them know their gift arrived safely. Saying, “Alexa, where’s my stuff?” will give users their delivery status. Alexa, donate to Toys for Tots. 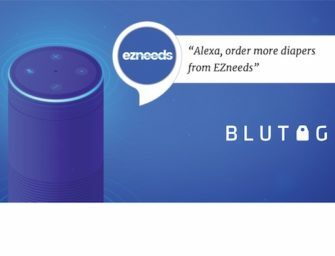 Donations using voice assistants is a great use case to get users comfortable with payment transactions via voice and perhaps increase voice shopping. This development expands upon the AmazonSmile program that gives money to charity as customers shop, in addition to the preexisting ability to donate money to charity through Alexa.